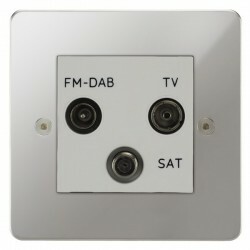 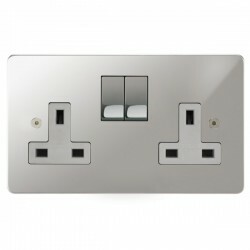 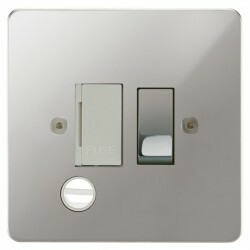 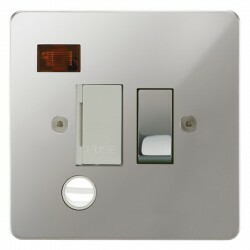 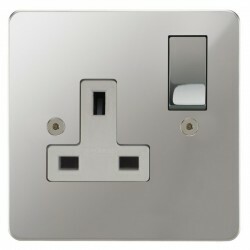 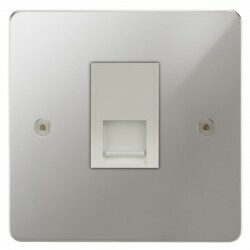 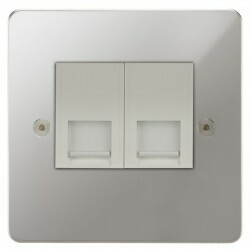 Focus SB Horizon 2 Gang 13A Switched USB Wall Socket in Polished Chrome with White Insert at UK Electrical Supplies. 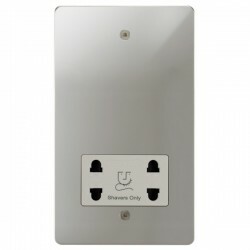 If you’re looking for an easy way to charge your phones and tablets, try Focus SB’s Horizon 2 Gang 13A Integrated USB Wall Socket (HPC68-2W). 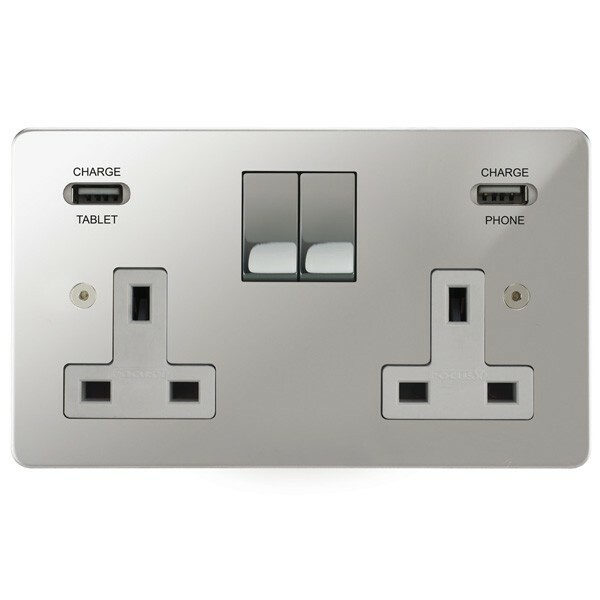 Unlike sockets that split amperage between their USB charging points, Focus SB’s outlets are totally separate. 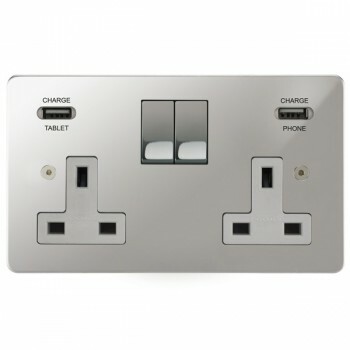 That means that you can power up a wide variety of devices quickly and efficiently, even when the 2.1A and 1A outlets are both in use. 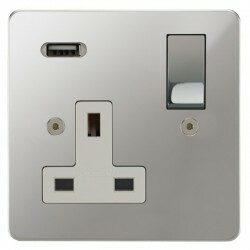 This convenient double USB wall socket accommodates everything from cameras to e-readers. 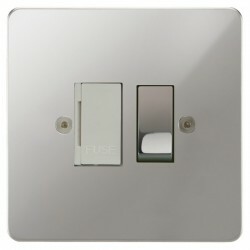 It’s also available in most styles and finishes, including Polished Chrome with White Insert, so it’s easy to find the right match for your décor. 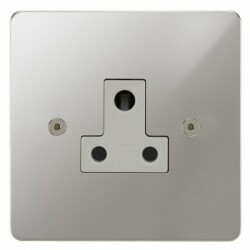 The lead time on this product is approximately 21 - 28 working days.